This promotion is temporarily unavailable. We will let you know if and when we enable it again (January 25, 2019). GreatLakesIceFishing.com (GLIF) is offering a FREE Skandia Tungsten Jig courtesy of K&E Tackle to the next 100 new members who join GLIF! 1.) If you haven’t already, please join GLIF first (free also) and then return to this post under the Member Promo menu category – Free Tungsten Jig. 2.) If you are already on Facebook, please Like us too! Only logged-in members of GreatLakesIceFishing.com can access the FREE Skandia Tungsten Jig request form. Open to US residents only at this time. 3.) Once you have created your GLIF member account and are logged in, click this New Member Promotion form link to claim your FREE Skandia Tungsten Jig. Skandia Tungsten Jigs are the Hot Ticket for Ice Fishing 2012! About the Author: Dan Kimmel is an avid angler, outdoor photographer and outdoor writer who becomes a computer guy in his downtime running web sites like this one, GreatLakesBass.com and AnglerHosting.com among others. 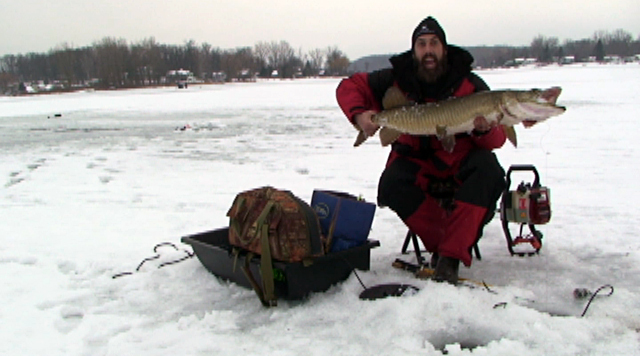 JOE – while you are logged in, go to the http://www.greatlakesicefishing.com/new-member-promotion/ link. Fill out the form and send it to get your free Skandia Tungsten Jig. So when should we receive these? Please allow 6 to 8 weeks. Ed_r – while logged in, click on this link – http://www.greatlakesicefishing.com/new-member-promotion/ and fill out the form that comes up to get your free jig. Great! Thanks for signing up and thanks for the compliment! Please read my reply above on how to get your free Skandia Tungsten jig. Thanks for signing up. Got Mine. Thanks a Bunch. Great color. Will definitely do some eye crossing with that one! Thanks again! Thank you, got one in the mail today. looking forward to the free tungsten jig. And thanks in advance. Most of the early entries have told me they received their jigs. I’ll check again on yours. The address and everything looks right. It could be an error or just timing in sending out batches. I’ll find out. You’ll get one! Mine arrived yesterday. Looks great, now we just need some ice so I can try it out! Thank you! Great news! Glad you got it. I think the ice is coming real soon. That is the Best!!!! Great site too!! fish_porn – while you are logged in, go to this page – http://www.greatlakesicefishing.com/new-member-promotion/ – and fill out the form on that page to get your free Skandia tungsten jig. I hope there is one available for me! bigbee, thanks for signing up. You will need to fill out the online mail form to have your new jig mailed to you. You MUST BE LOGGED IN FIRST. Then go to this link: http://www.greatlakesicefishing.com/new-member-promotion/ . Fill out the form and submit it. The form is only available to logged in members who have not previously requested their FREE Tungsten jig.